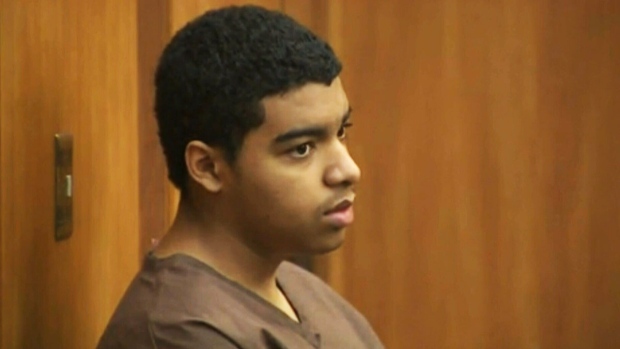 TORONTO - The teen son of a Canadian diplomat accused of first-degree murder in a double killing in Miami is expected to plead guilty to reduced charges today. In exchange, Marc Wabafiyebazu, 15, is expected to receive a conditional sentence involving bootcamp and probation. Under Florida law, if the teen fulfills the sentencing conditions, a conviction against him would not be registered. Wabafiyebazu was arrested last March after his 18-year-old brother Jean Wabafiyebazu and another teen were shot dead. Police alleged the gunfire erupted when the older sibling tried to rob a drug dealer of 800 grams of marijuana. An unarmed Wabafiyebazu was waiting outside at the time, but authorities said he had been party to the botched robbery and charged him as an adult with murder. The boys' mother, Roxanne Dube, was Canada's consul general in Miami at the time of the shooting.